The CDT Summit, sponsored by Ericsson, on Monday, March 17 and Tuesday, March 18, is a great opportunity to meet the CDT committers and to discuss with other users. The CDT community will meet face to face and discuss about multicore debugging, tracing, refactorings, static analysis, LLVM, user-friendliness, ... Read more on the blog written by Marc Kouzham, and on the summit wiki. PolarSys day, Thursday, March 20, is a full day of sessions at the conference. The PolarSys working group selected talks that cover all the aspects of using open source tools for the development of embedded systems in large industrial companies. You will get insights from industry companies like Ericsson, Bosch, Airbus, Boeing, Thales and also some technology providers. The agenda covers many aspects of systems engineering discuss everything, from tooling for architects, modeling, development, tracing, safety engineering, to the deployment of open source tools to 15 000 developers. This is the first time we have such a large place at EclipseCon in North America, if you are involved in Embedded Systems, you should definitely join us. In addition to these specific presentations, you'll get all the news from the Eclipse community in the very rich and diverse program, including a special event for the launch of Java8. Finally, on Thursday, March 20, the conference will also host a poster session with a large space reserved for PolarSys posters. Do not hesitate to submit yours, it will be another good reason for your boss to approve your travel! 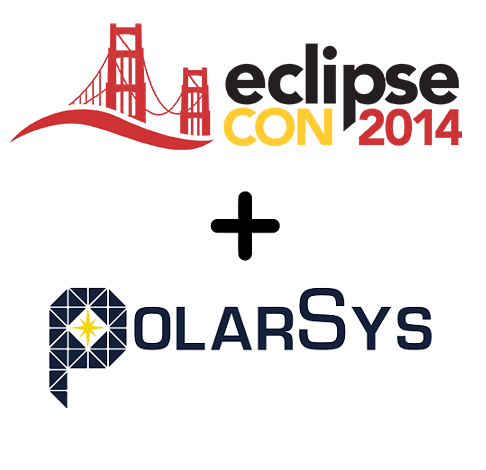 Join us for a great EclipseCon 2014 in San Francisco! Thank you so much for this site becsue this site help to me for getting http://coolmathgamesjunction.net more game at the same platform so i want to say its great for the all gamer also.